Check out what we offer, and see how we can help your business, today. 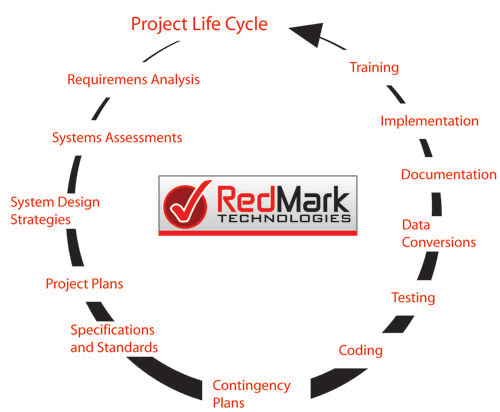 RedMark services help customers optimize their business processes through the effective and innovative use of technology. Our industry expertise is concentrated in Financial, Government and Healthcare and Education sectors. We have domain expertise in numerous business and technology solutions. By using small, expert project teams we deliver high-value, measurable results by working closely with clients through a comprehensive and proven methodology. This approach enhances return-on-investment by significantly reducing the time and risk associated with designing and implementing integration projects.